Falling in love can be a difficult experience, especially when the person you love brings a lot of baggage to the relationship. However, an extra dose of drama makes for a great story, one that makes us want to keep reading. Back in April, we talked about a few of the literary world’s most tortured souls (who happened to be some of the worst boyfriends in literature), but what about the ladies? This week, we’ll talk about five of literature’s worst potential girlfriends, and why you should steer clear if you ever pop into a literary universe. 1. 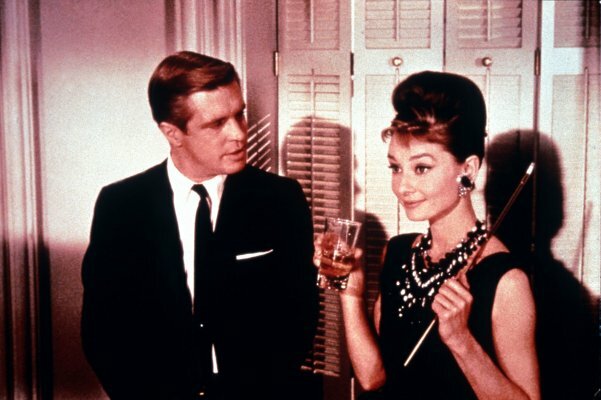 Holly Golightly (Breakfast at Tiffany’s by Truman Capote). 2. Catherine Earnshaw (Wuthering Heights by Emily Brontë). I included Heathcliff on the worst boyfriend list, so it’s only natural that Catherine appears here — their relationship screams dysfunctional! When Heathcliff marries another woman, Cathy becomes completely insane, locks herself up and stops eating, even though she’s already married to a perfectly nice guy. She’s cruel to the man she loves because of their different stations in life, and she continues to haunt him even in death. Theirs is one of the most doomed love stories of all time, which is not something to aim for in a functional relationship. 3. 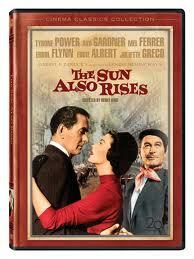 Brett Ashley (The Sun Also Rises by Ernest Hemingway). Lady Brett Ashley has a wandering eye and very little motivation. The socialite can’t stick to one man and at one point, winds up with a 19-year-old bullfighter. Although she is in love with Jake Barnes, the novel’s protagonist, she refuses to commit to him because his war injuries have rendered him impotent. When he asks if they could simply live together, she says no because she knows she wouldn’t be able to remain faithful. While her concerns are understandable (and at least she’s honest! ), she doesn’t seem to have much luck with her other relationships. 4. Alaska (Looking for Alaska by John Green). Although Looking for Alaska is one of my favorite novels, I’ll be the first to admit that most of John Green’s female characters are manic pixie dream girls. Although beautiful and intelligent, Alaska is self-destructive and emotionally unstable. The main character Miles can’t help but fall in love with her, even though she has a boyfriend and doesn’t always treat him well. Alaska is a great character, but definitely not ready to settle down. 5. Most of the female characters in F. Scott Fitzgerald’s books. Which female literary characters do you think would make the worst literary girlfriends?